There have been many biodiversity conservation programs throughout Quebec-Labrador Foundation’s fifty-plus-year-history. QLF began by organising community service programs in New England and Eastern Canada, with focuses on Leadership, Conservation, Culture and Heritage, and Stewardship. The success of these regional programs confirmed them as good models to be followed in other areas and other countries, paving the way for QLF’s international programs, however the Foundation’s work in its Home Region remains a pillar of the organisation. A priority of QLF’s regional programs is wildlife and habitat conservation in the area, such as the Marine Species at Risk, and the Restoration of Coastal Habitats. Locations include Newfoundland, Labrador, and the Quebec Lower North Shore. For example, the Piping Plover Conservation Project, which has ran for several years in southwest Newfoundland, aims to protect a small shorebird (pictured below) that is listed as endangered in Canada, with less than 35 bird returning to Newfoundland in recent years, despite it being its usual migratory route. QLF Supervisors and Interns carry out work to reduce human-induced threats such as traffic and beach debris, and assist in the monitoring and data collection of Piping Plovers. My role at QLF has been largely focused around the planning of a similar biodiversity conservation project in the New Brunswick region. This program will have ornithological focus, which means the surveying of birds in the region. An important component of this program will also be the education and engagement of youths in the region, so there are several workshops planned for children aged 5-18 throughout Anglophone, Francophone, and First Nation communities. It is important to QLF that its initiatives are inclusive and cooperative, and that there is a sharing of knowledge and best-practises across all local communities. My role specifically has been in developing the written proposals and plans for the program. This involves setting measurable objectives, determining achievable outcomes, allocating resources, and developing contingency plans, all within the significant logistical challenges of location, safety, and budget. I have been writing program proposals for grant opportunities, which requires acute attention to detail and knowledge of the target audience. I have also been doing research for the opportunities available, and for other potential partners that share QLF’s mission. This internship has taught me a lot about the fields of biodiversity, conservation, and non-governmental organisation work. It has honed my research and editing skills, and specifically developed my skills in programme planning and grant writing. I feel that I have been immersed further in a field of work that I am passionate about–environmental conservation and sustainability–and been exposed to the real-world application of the research and skills that I have been developing over the course of my undergraduate studies. 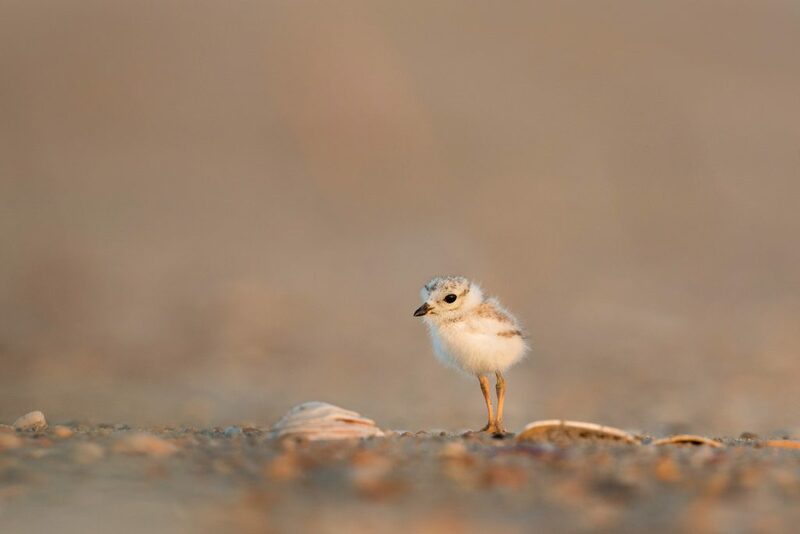 Image of a Piping Plover chick, an endangered bird in the North Atlantic Region, that is the focus of a QLF conservation program. Image courtesy of Ray Hennessy (2016).